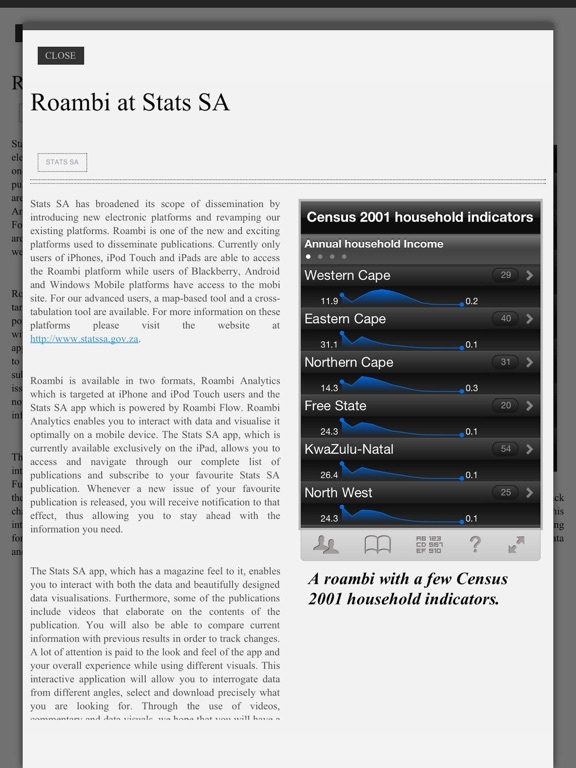 The Stats SA Interactive Publication Viewer mobile app with SAP Roambi technology makes browsing statistics from various surveys done by Statistics South Africa quick and easy. You can intuitively navigate different data sets, figures, tables, and use built-in data visualization tools, as well as bookmark your favorite graphics. 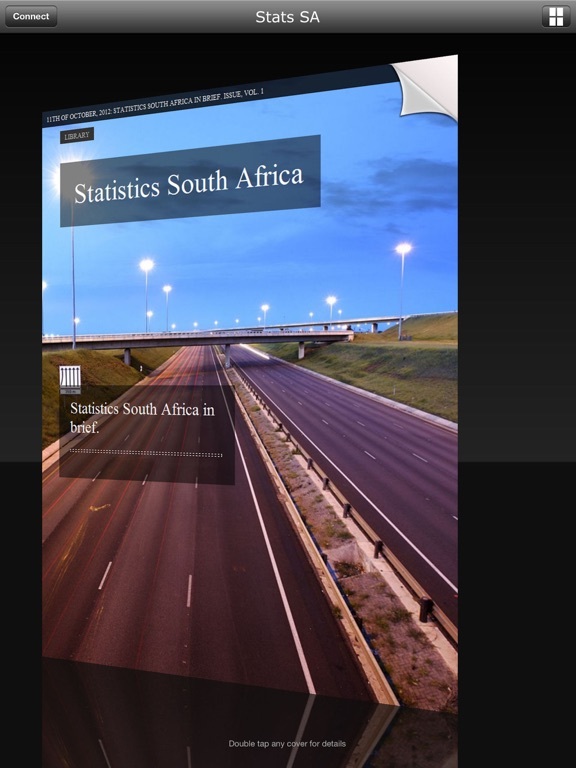 Data mining is made easy with Statistics South Africa. All major survey results are available, with options to interrogate data and do comparisons. You can view and e-mail current and older versions of a survey wherever you are. Download this new app at your convenience, with data available to you both on and offline. 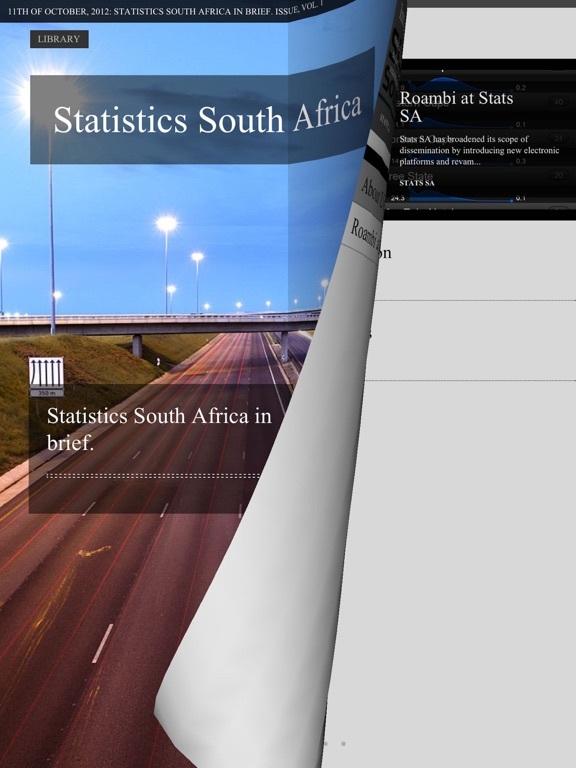 Whether your are connected to the Internet or not, you can still access different publications available from the Stats SA application.